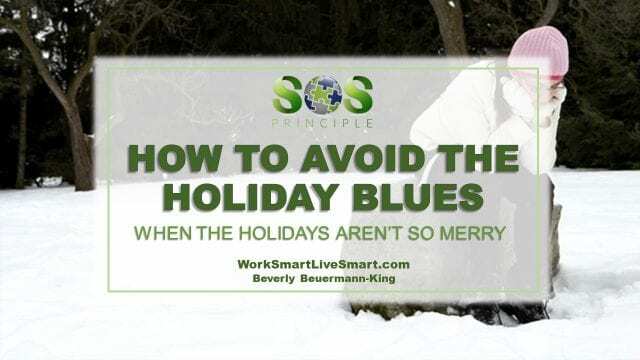 How To Avoid The Holiday Blues - Work Smart. Live Smart. We deal with stress all year long, but during the holidays it can all seem a bit too much. 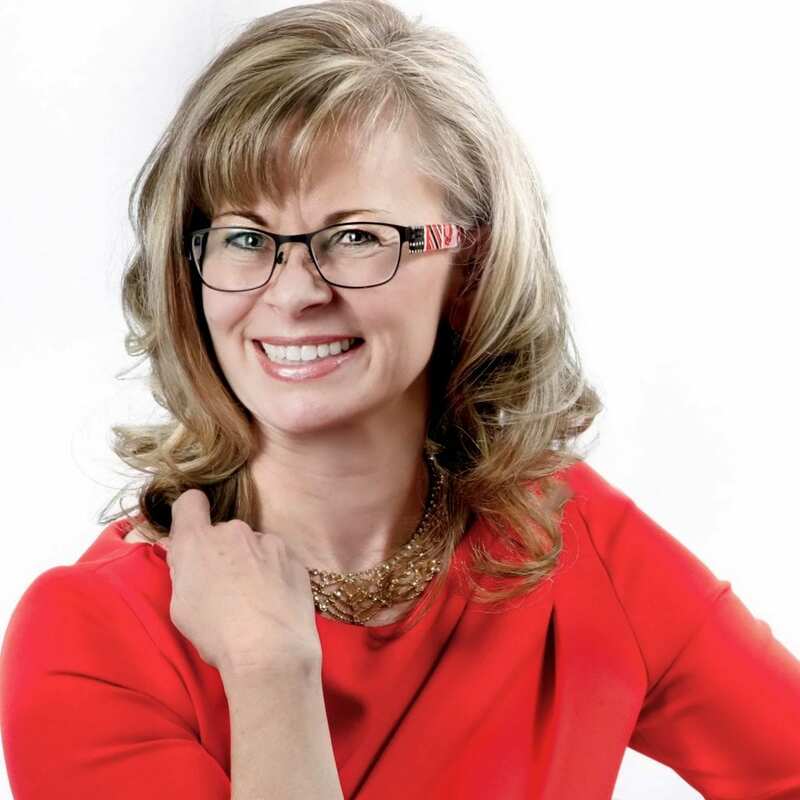 Stress and wellness expert, Beverly Beuermann-King has some advice on how to avoid the holiday blues. You have one hour to get to the children’s holiday play, but you find yourself still worrying about what treats to make and where you’ve put the keys to the car. You are irritable, forgetful, overwhelmed by guilt and could fall asleep standing up. You may be experiencing the ‘holiday blues’. Have You Ever Had A Stress-Free Holiday? The holidays should be a time for relaxation and rejuvenation, but expecting the holidays to be stress-free and always merry can lead to further stress. The ‘holiday blues’ are not as serious as depression, but left un-checked it could lead to a downward spiral that may bring about the symptoms of depression. Feeling tired, overwhelmed, anxious, sad, and guilty or having a complete lack of interest in things may indicate that you are experiencing the blues. Most of us have experienced these feelings at some point, especially when our lives get busy and our expectations are high. For the most part these feelings are temporary and can be dealt with by remembering there is no such thing as the perfect holiday. Keep your expectations in line – don’t set yourself up for disappointment by thinking that all plans will go without a hitch and that everyone will be merry and get along when they don’t act this way at other times of the year. It’s important to pick your holiday activities and get-togethers wisely. Choose activities that meet your particular goals. Ask yourself: ‘Is this holiday time for relaxation, celebration or relationship renewal?’ When you know what your overriding goals are, then it is easier to not ‘sweat the small stuff’ and to avoid over-programming yourself and your family. Ease in to and out of holiday mode. In typical fashion, many of us return to work after the holidays feeling like we need a holiday from our holidays. Take the time to enjoy the process of getting ready and prepared for the holidays. Plan far enough ahead that you avoid the rush. Give yourself a couple of days of relaxation once the activities die down. Remember to get plenty of sleep and to eat in moderation. Don’t abuse your wallet during your holidays. Going into debt just adds to your stress load. Gifts do not have to be elaborate or expensive in order to be appreciated. Your sentiments written in a card can be more important than the gift itself. Plan a budget, ask others for creative ideas and give yourself plenty of time to shop. Once the holidays arrive, don’t forget to appreciate the quiet times and opportunities for connection. Most of us get so uptight that we forget to focus on the important things. Take the time to breathe deeply, laugh, connect and nurture your soul. The holiday blues, though temporary, may be a sign that one needs to deal more effectively with the stresses of their life. Learn to ask for help, find a mentor, and talk to friends, family or even counsellors. Rely on your spiritual beliefs. If the symptoms last for more than a couple of weeks or cause significant impairment in your life, talk to a doctor. Don’t let fear and guilt keep you from reaching out and enjoying the holidays.